happen through the mere squishing and modeling of dough. As kids work with their hands, they open up new opportunities for learning and exploration- becoming more aware of the world around them. 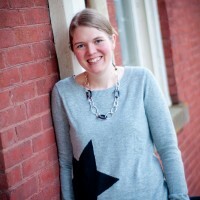 The folks at Lakeshore Learning have a full-line of products that promote learning through hands-on fun. I am just beginning to teach my three year old his letters. 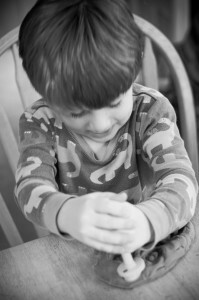 I love the hands-on way he is able to practice while using the Uppercase Alphabet and Number Dough Stampers. 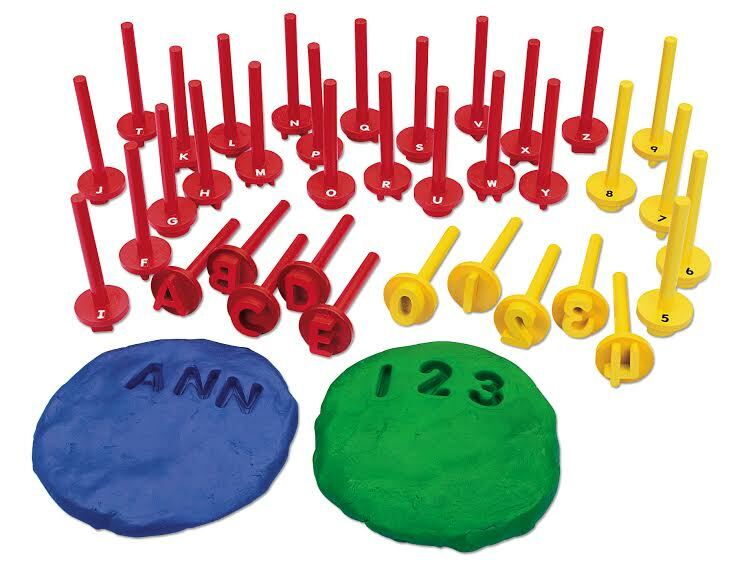 As we played, we’d talk about the letters we were stamping into the dough. To reinforce the letters, I’d say the name of the letter each time he stamped it. “A, A, A. Look at all of those A’s you’re making!” The stampers are clearly labeled, and easy to read when stamped. 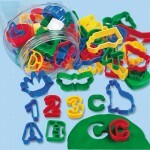 The set includes all 26 uppercase letters and the numbers 0-9. 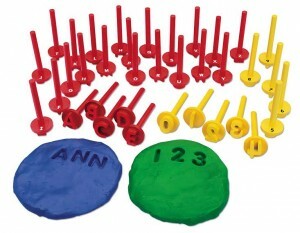 This is an ideal toy/learning tool for all young learners. 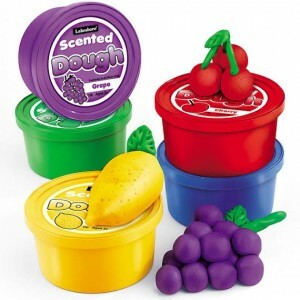 Our play-time wouldn’t be complete without Lakeshore Scented Dough. The set includes 5 one pound tubs of brightly colored dough. The dough comes in fun fruity scents. The kids (okay, me too!) had so much fun checking to see what each color of dough smelled like. Everyone had their own unique favorite, which made sharing a breeze! The dough is soft and pliable, and easy for little hands to manipulate. 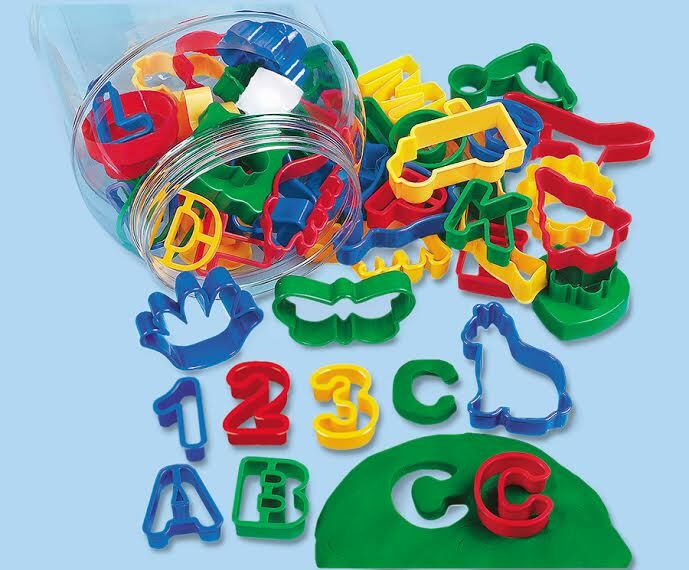 We continued our play-time with the Lakeshore Dough Cutters Bucket. This bucket is packed with 63 incredible dough cutters (that I totally plan on stealing for cookies too!) My favorite part of the set is that it includes all 26 letters! My son and I were able to continue our learning, as we cut out the letters in his name together. He was delighted to find vehicles and animals as well, while I delighted in the cute shapes. This is a great “all-inclusive” set, that would make a fun and creative gift. I highly encourage all parents and teachers of young learners to check out the Lakeshore Learning line of hands-on toys and learning tools. Kids learn SO much through play and hands-on activities and tactile experiences. 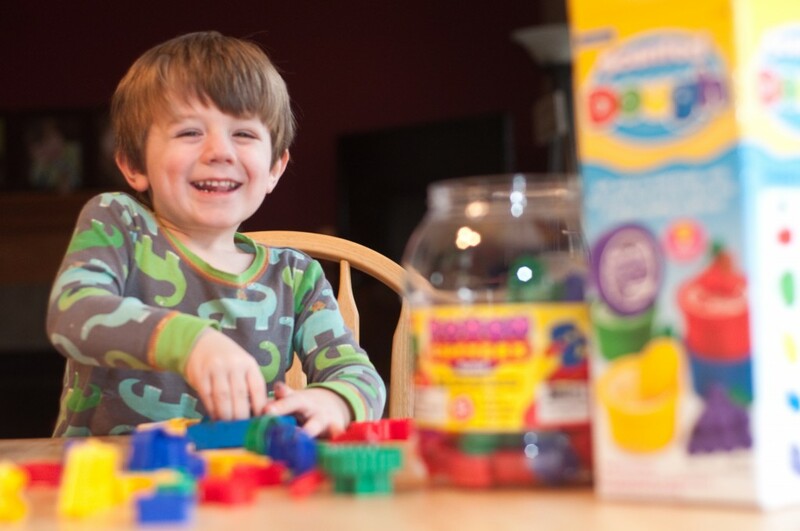 Lakeshore provides you with educational and engaging products to help jump-start learning play. 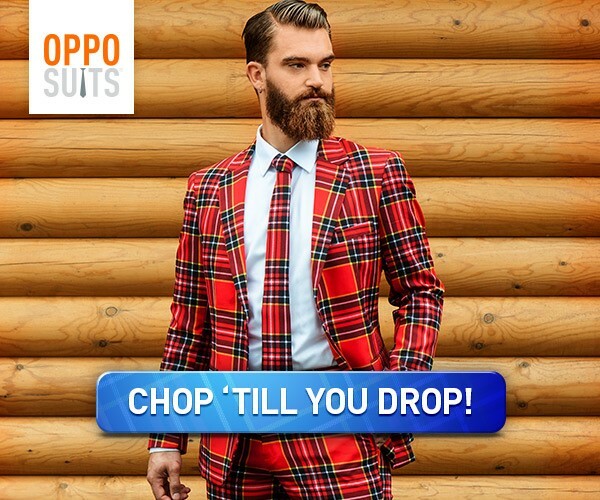 Click HERE to save 20% now through 3/31/14!!! 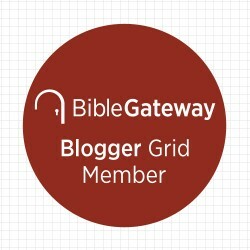 You can save in the store OR online!